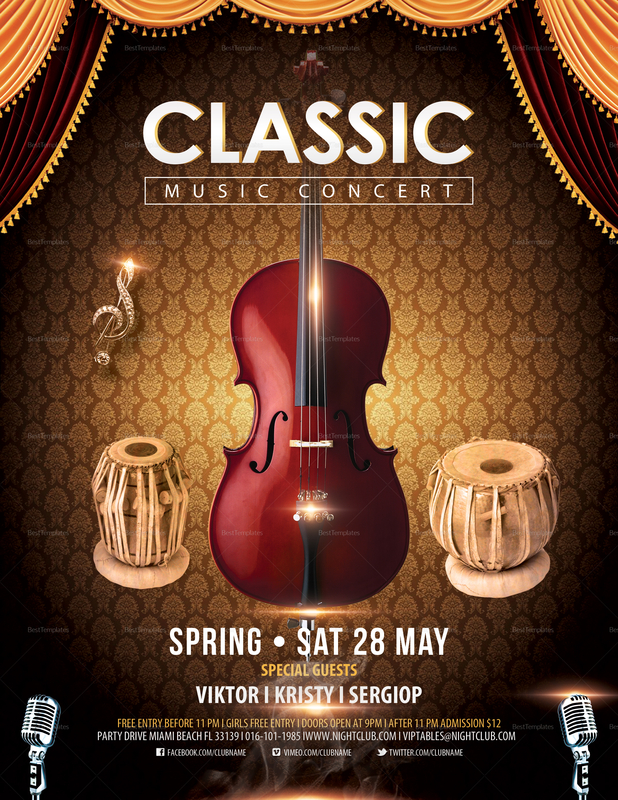 Get classical music fans crowding up to the venue with this Classic Music Concert Flyer Template. This full bleed, full color template comes with complete business fonts in A4 and US letter sizes. Edit with your chosen MS Word, Photoshop, or Publisher file formats. 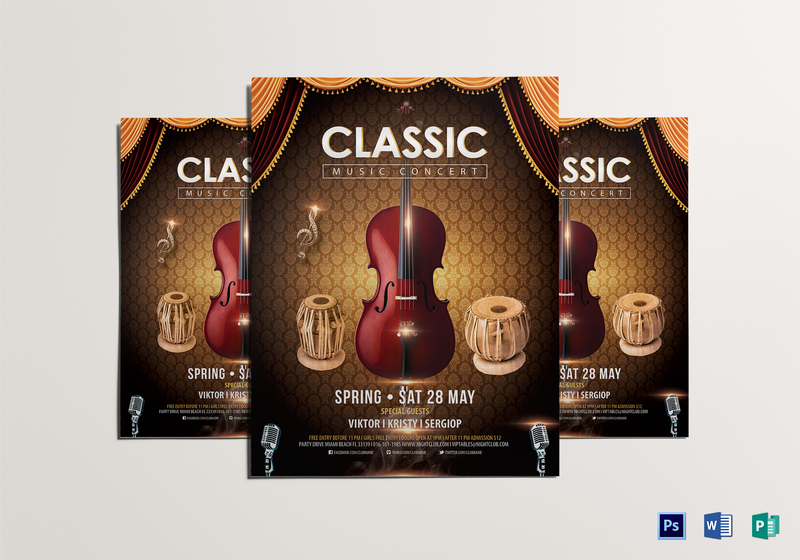 Highlight the flyer using high quality photos in 300 dpi resolution and CMYK Color Space print standard. Print commercially or at the comfort of home anytime and anywhere.